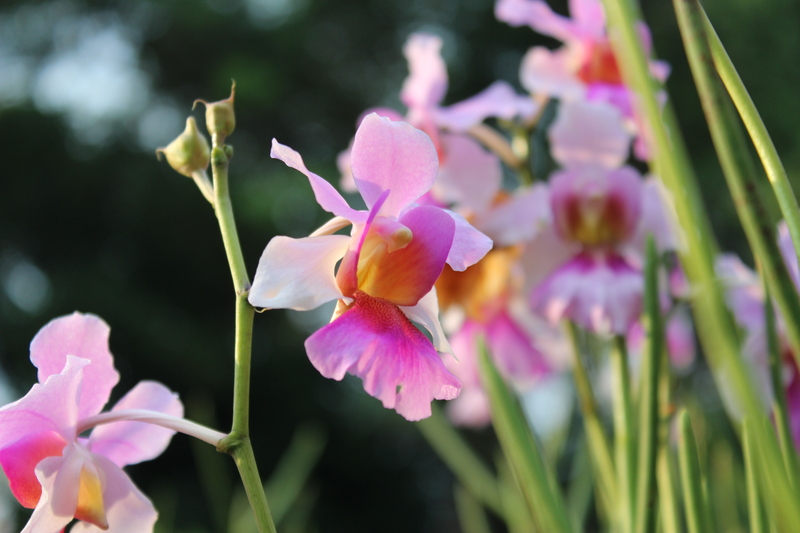 Vanda Miss Joaquim, our very own Singapore national flower. 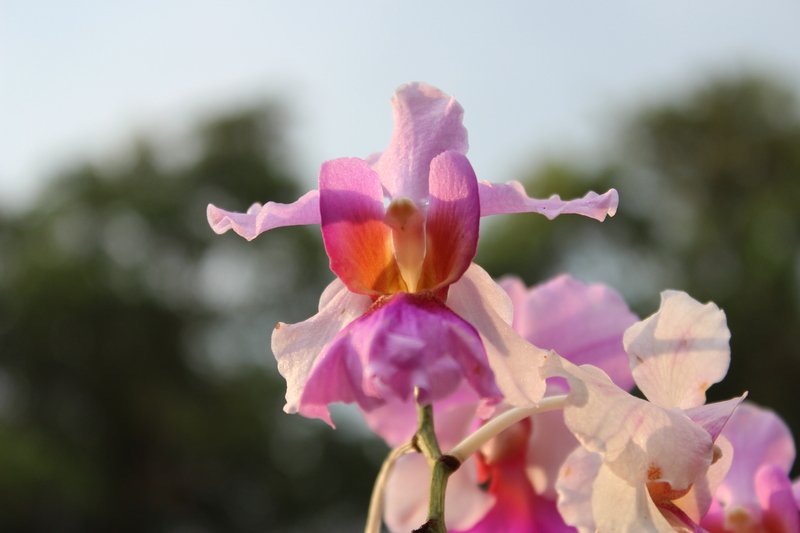 A natural hybrid Orchid between Vanda terres and Vanda hookeriana. It was first discovered in 1893, in the garden of Agnes Joaquim, an Armenian best known for breeding the hybrid orchid. Agnes Joaquim’s tombstone can be found in the grounds of the Armenian Church at Hill Street, Singapore. 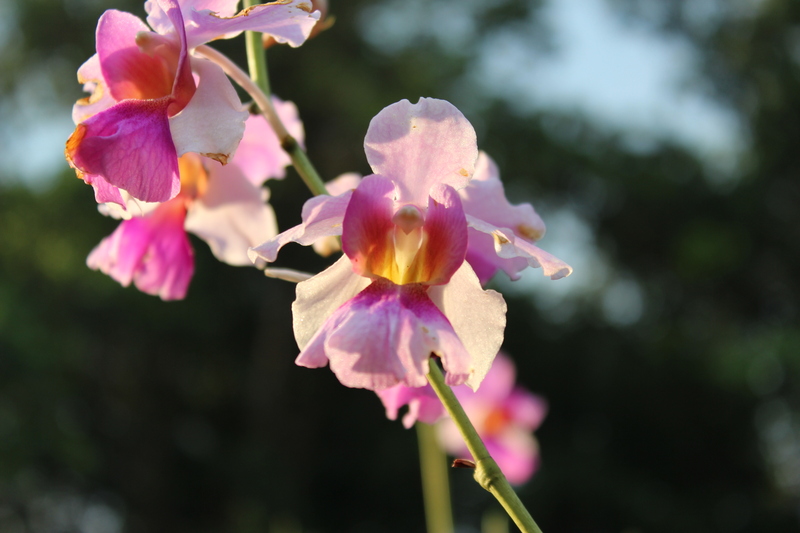 The flower was selected as Singapore’s national flower in 1981. Vanda Miss Joaquim was chosen from 40 flowers, 30 Orchids out of the 40. It stands out by its vibrant in color, hardiness as it blooms throughout the year. Thus, it reflects the spirit and quality of the Nation. And now, Miss Joaquim is humming National Song in the sunset. This entry was posted in I am not just a little red dot / 我不是一般的小红点 and tagged Agnes Joaquim, Floral emblem, Hill Street, Orchid, Orchidaceae, photography, poem, postaday, Singapore, tourist spot in singapore, Vanda, Vanda Miss Joaquim. Perfect accompaniment Sydney. Thank you for the beauty and calm. sorry, I don’t get what you mean? did I spam you? No it is the Akismet system that puts me in Spam and can’t seem to fix it – so OF COURSE NOT 🙂 But now I see my original post..
oops,i don’t know what is going on ? so is it okay now ? beautiful in colours and shape. I love “And now, Miss Joaquim is humming National Song in the sunset.” What a pretty post! thanks for stopping by cheers! Lovely post and lovely orchid, my favorite flower.